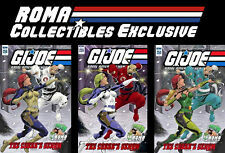 Hello and welcome to the eBay page of www.ROMAcollectibles.com. If you have any questions, please feel free to contact us by eBay's message service, by email: romacollectibles@yahoo.com. The finest in Collectible toys! We ship Monday-Friday. 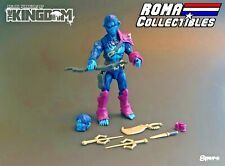 Boss Fight Studios - GLADIATOR Deluxe Character Builder Set - Vitruvian HACKS 4"
Boss Fight Studios - ROBOT Mini Kit Red - Vitruvian HACKS 4"
Boss Fight Studios - COBALT BLUE A Accessory Set - Armor Vitruvian HACKS 4"
Boss Fight Studios - COBALT BLUE B Accessory Set - Armor Vitruvian HACKS 4"